Click/tap here to find the best North Dakota yoga instructor for your needs! 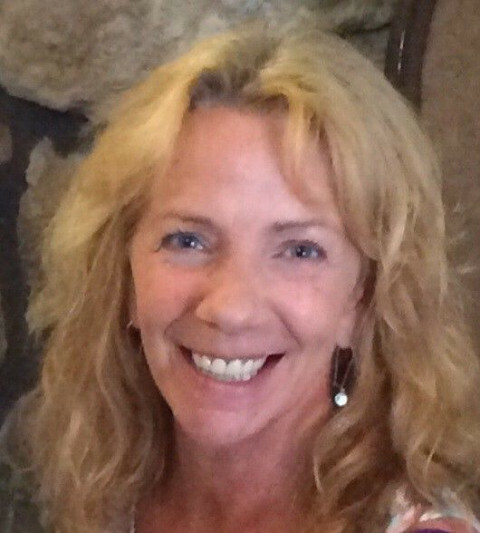 Allison is the owner of The ART of Living-Allison Rissel Training serving the Williston, ND & Longmont, CO area. She provides yoga classes, yoga workshops, yoga teacher trainings through Camp Utopia, the enlighten diet program & personal training. Allison holds her master's degree in exercise science and was also a lecturer at Texas State University where she taught undergraduate classes in Exercise Physiology, Resistance Training & Conditioning and Introduction to Exercise & Sports Science. Her strong scientific background, her 7 years of experience and her outgoing personality, allow her to work with a variety of clients. She will make you feel comfortable while getting you the results you deserve! She believes in providing quality exercise programs at affordable rates. Allison is now an instructor for Camp Utopia! 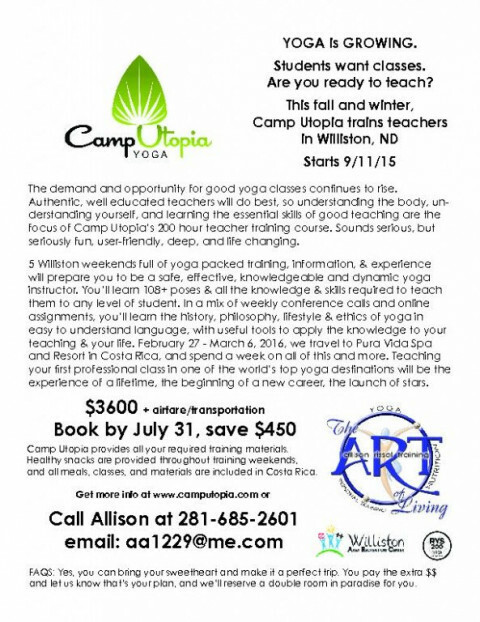 Teaming up with Helen Stutchbury, Camp Utopia is bringing a 200-hour teacher training program to ND and the surrounding regions. We hope to serve ND, SD, WY, MT & SK, Canada. WillowLife classes are on-going and open to students with previous yoga experience as well as those who are trying it for the first time. A warm, welcoming and encouraging atmosphere allows students to focus on proper alignment, body and breath awareness, as well as meditation and relaxation. The benefits of regularily attending a yoga class include learning safe body alignment in poses, increased strength and flexibility, reduced muscle tension and stress, and greater overall feelings of well-being...join us and feel for yourself! We teach Astanga Hatha yoga to all levels. We provide a calming and warm environment to practice yoga. Classes are offered Monday, Wednesday and Friday evenings. We also offer private sessions and will soon offer power yoga classes.